The Textile Museum of Canada (TMC) is currently hosting the Frida Kahlo: Through The Lens of Nickolas Muray exhibition. At TMC, this exhibition is curated by Sarah Quinton and Roxane Shaughnessy. A couple of years ago, Roxane Shaughnessy was kind enough to answer some questions about a previous exhibit, Maya Textiles from Guatemala. This past week, she took time to answer some questions on the current Frida Kahlo / Nickolas Ray exhibit and share what else is on display at TMC this summer. HM: What is it about Frida Kahlo: Through The Lens of Nickolas Muray that appealed to you as curator at TMC? Roxane Shaughnessy (RS): When the opportunity arose for the TMC to mount the exhibition Frida Kahlo: Through The Lens of Nickolas Muray, (organized by the Nickolas Muray Photo Archives and circulated by Guest Curator Traveling Exhibitions), we were interested to show these fifty photographic portraits of Mexican artist Frida Kahlo by Hungarian-born photographer Nickolas Muray, in combination with a selection of vibrant Mexican textiles from the Museum’s collection. Throughout the photographs, Frida Kahlo appears in the traditional Mexican dress she wore daily – and the clothing from the Textile Museum of Canada’s Mexican collection, featured in this exhibition, invokes elements of her wardrobe and highlights her appreciation of Mexican indigenous traditions. The photographs of Nickolas Muray take on a striking freshness and meaning with this display of Mexican traditional garments that captures Kahlo’s unique persona. HM: Do you think Kahlo’s iconic choice of garments and accesories brought more exposure to the richness of Mexican textiles and weaving practices? RS: Frida Kahlo wore clothes in extraordinary ways. Her fondness for distinctive traditional garments and accessories demonstrates the significance of Mexican dress to her “look,” vividly captured in Nickolas Muray’s photographs, and depicted in her self-portraits. She admired the beauty of indigenous dress, and had a deep appreciation for the exquisitely crafted textiles she employed to construct her iconic self-image, and the sophisticated, centuries-old skills used to create them. She saw herself as an ally of indigenous cultures and identified with them, embracing traditional dress as an expression of her Mexicanidad, or Mexican identity, of which she was fiercely proud. She helped to shape Mexican textiles into powerful symbols of 20th century Mexican culture and identity. HM: Aside from the photographs part of the exhibition and traditional Mexican clothing, what else will be on display at TMC? 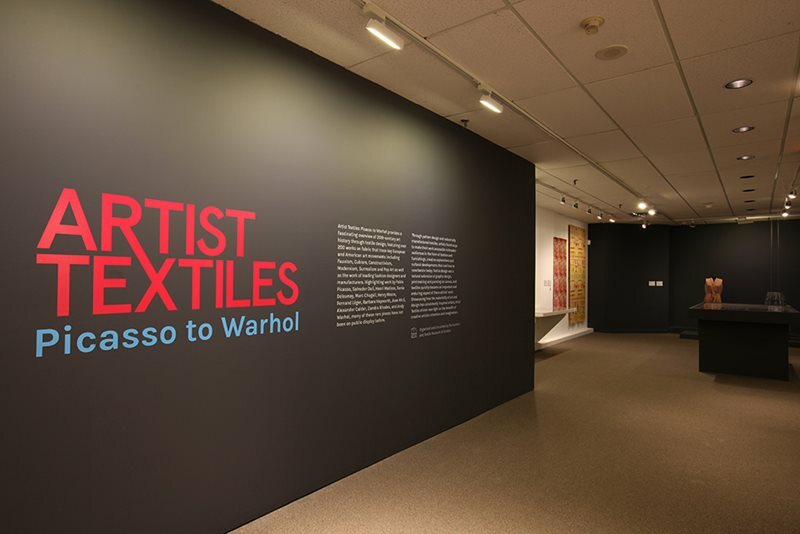 RS: Also on display until October 4, 2015, is Artist Textiles: From Picasso to Warhol, a major international exhibition offering a fascinating overview of 20th-century textile designs from some of the world’s most renowned artists. More than 200 works on fabric trace the history of art in textiles, with examples from key European and American art movements including Fauvism, Cubism, Constructivism, Modernism, Surrealism and Pop Art as well as the work of leading fashion designers and manufacturers. Featuring work by artists such as Pablo Picasso, Raoul Dufy, Salvador Dalí, Henri Matisse, Sonia Delaunay, Marc Chagall, Henry Moore, Fernand Léger, Barbara Hepworth, Ben Nicholson, Joan Miró, Andy Warhol and Alexander Calder, most of these rare pieces have not been on public display before. The Frida Kahlo: Through The Lens of Nickolas Muray exhibition is presented with the support of the Consulate General of Mexico, Annette Langley, and Planet IndigenUS with loans from the private collection of Carole Tanenbaum. TMC will be hosting this exhibition until September 7, 2015. The Artists Textiles: From Picasso to Warhol exhibition will be on display at TMC until October 4, 2015. Be sure to take advantage of TMC’s extended hours and pay-what-you-can admission on Wednesdays from 5-8pm. For more information on the Textile Museum of Canada, current and future exhibitions, please visit textilemuseum.ca.